According to the recently published Growth Africa 2014 Report, Tanzania Agricultural GDP Grew By 3.4% in 2011. In 2013 1,049 new jobs in agriculture were created, with $9.7 million of investments made in the sector. The report indicates that Tanzania is favorably endowed with a rich natural resource base to support agriculture development, including a huge potential for irrigated agriculture. Yet the sector attracts the least shares of foreign direct investment (FDI) stock despite impressive inflows of FDI to Tanzania. However with the renewed focus and drive to accelerate investment in priority value chains that the Big Result Now (BRN) initiative has injected, Tanzania is well-positioned to achieve the big results in agricultural growth it aims to secure. The GoT has instigated a number of policy measures geared towards establishing a more stable and geared towards establishing a more stable and tariff trade barriers, which are also yielding concrete benefits in terms of facilitating investment into agriculture, the reports explains. 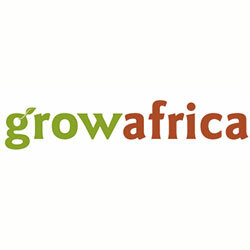 Grow Africa is a partnership platform that seeks to accelerate investments and transformative change in African agriculture based on national agricultural priorities and in support of the Comprehensive African Agricultural Development Programme (CAADP), a Programme of the New Partnership for Africa’s Development (NEPAD), established by the African Union in 2003.